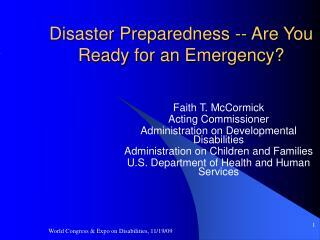 Disaster Preparedness -- Are You Ready for an Emergency? 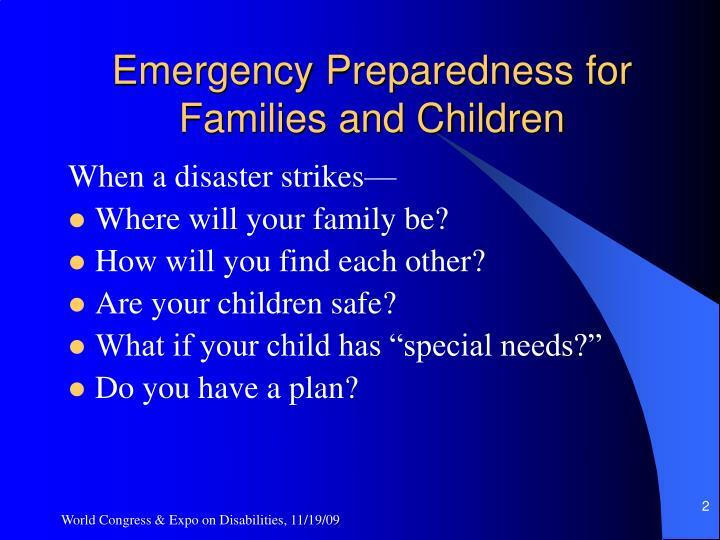 Where will your family be? 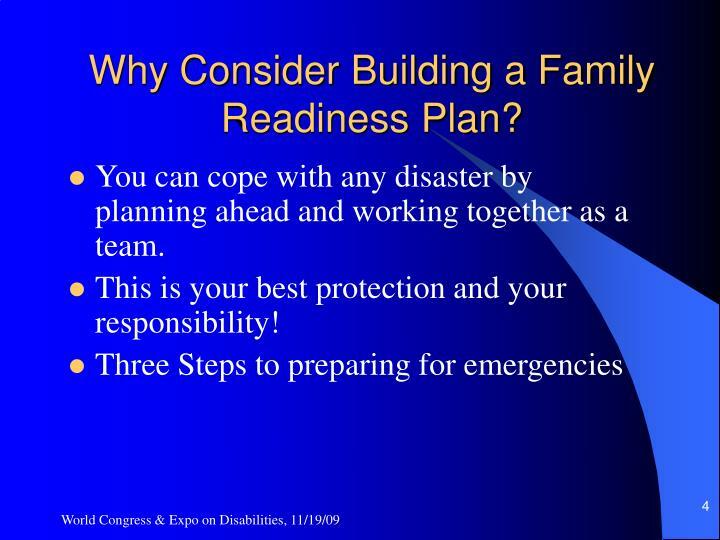 Why Consider Building a Family Readiness Plan? 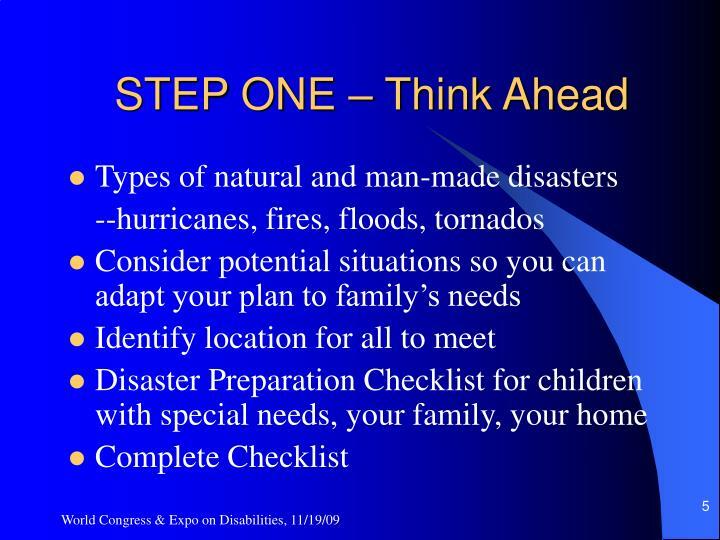 You can cope with any disaster by planning ahead and working together as a team. 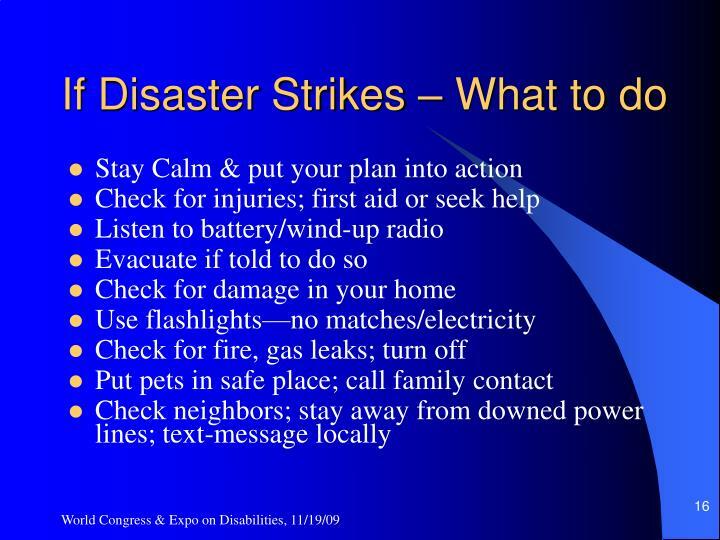 This is your best protection and your responsibility! 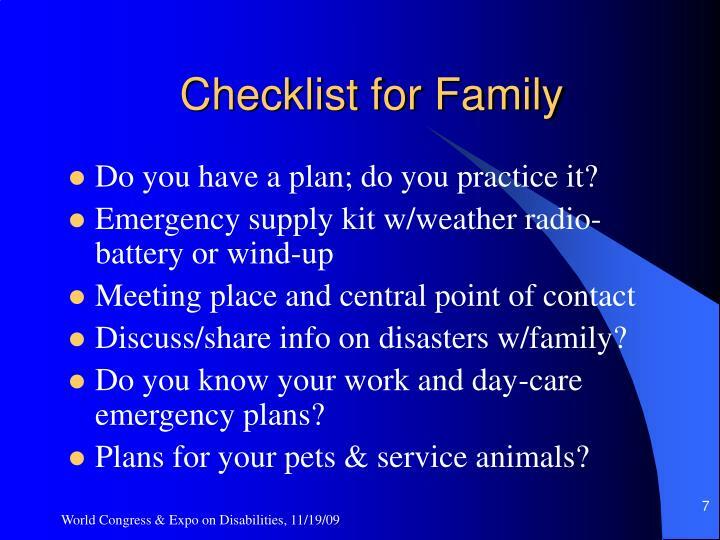 Do you have a plan; do you practice it? 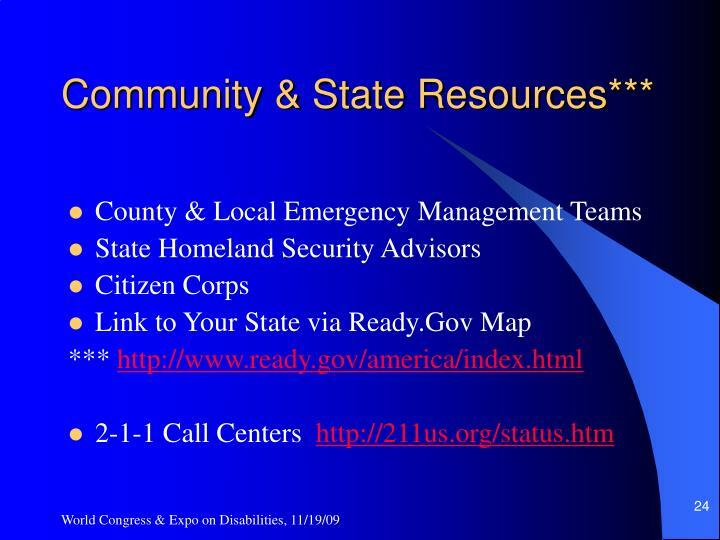 Discuss/share info on disasters w/family? 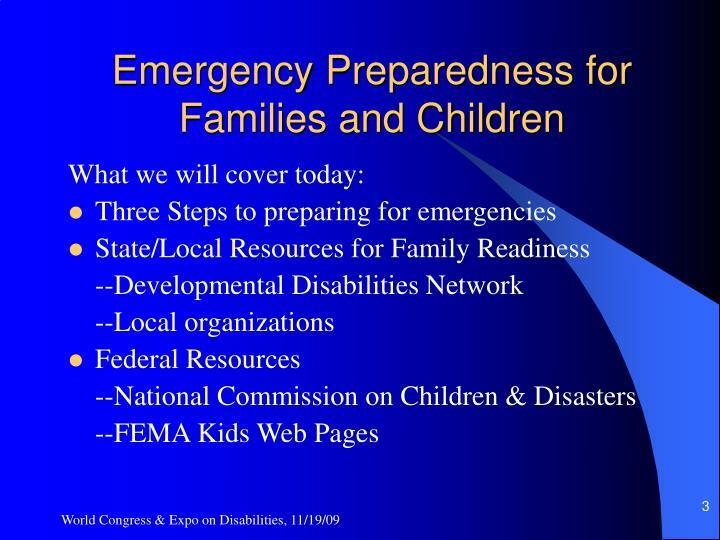 Do you know your work and day-care emergency plans? 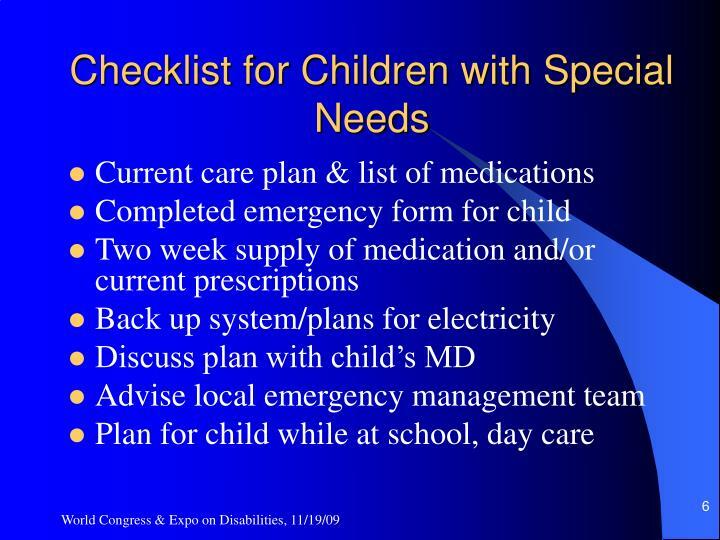 Plans for your pets & service animals? 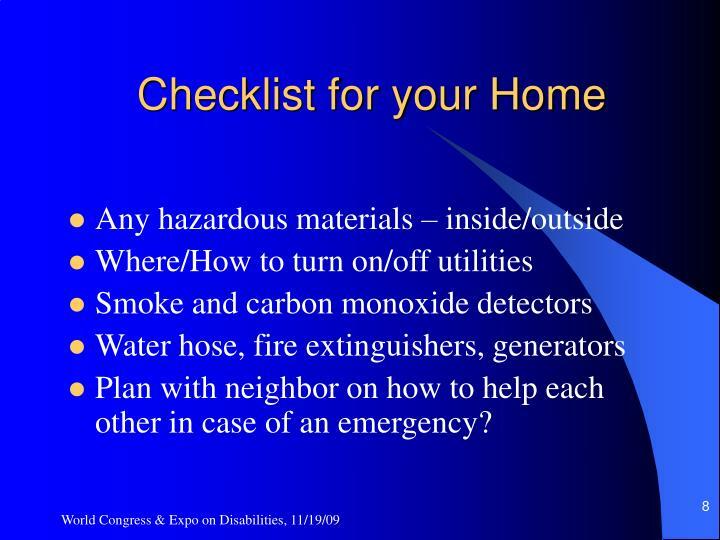 Plan with neighbor on how to help each other in case of an emergency? 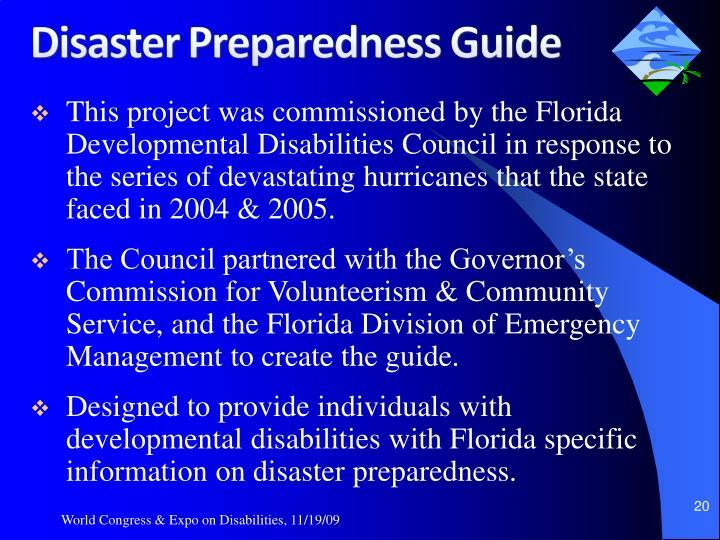 This project was commissioned by the Florida Developmental Disabilities Council in response to the series of devastating hurricanes that the state faced in 2004 & 2005. 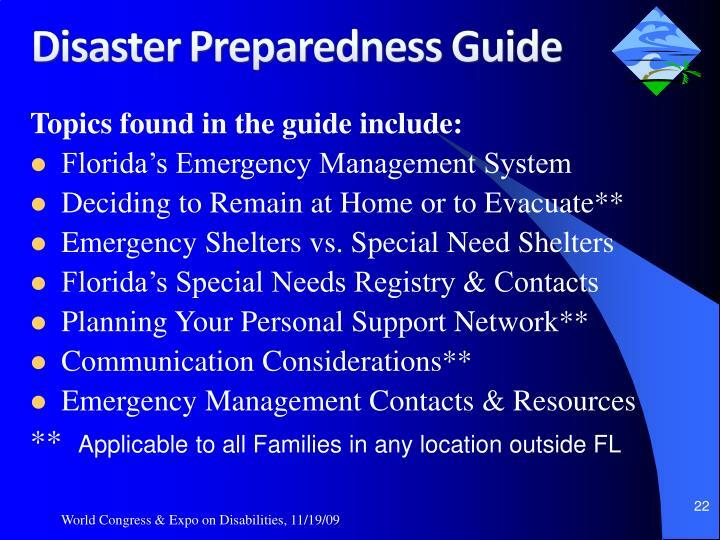 The Council partnered with the Governor’s Commission for Volunteerism & Community Service, and the Florida Division of Emergency Management to create the guide. 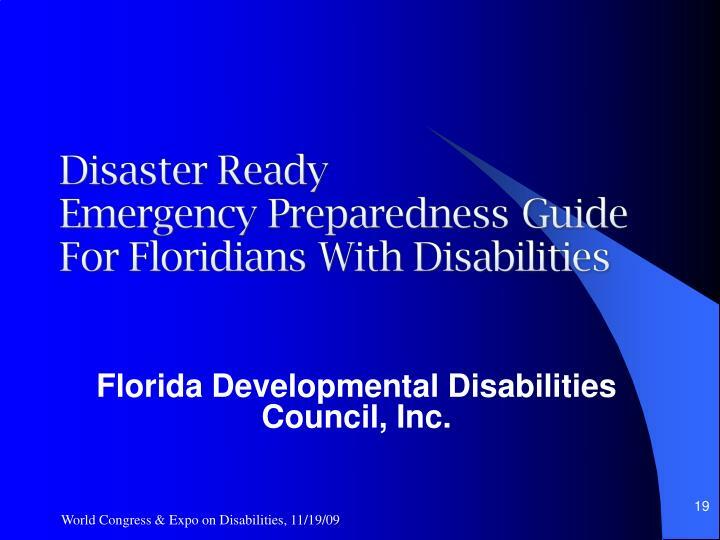 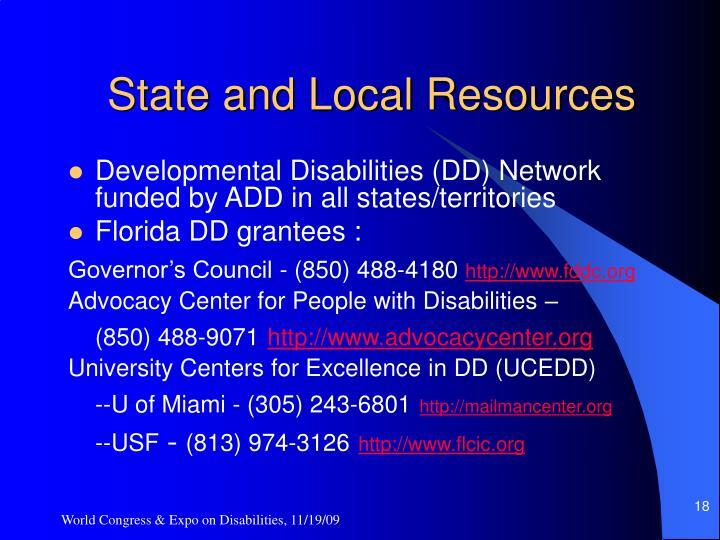 Designed to provide individuals with developmental disabilities with Florida specific information on disaster preparedness. Readers will be able to transfer their answers to these questions into a blank Disaster Plan, which is included as the last section of the guide. When completed, the user will have a personal disaster plan that can be implemented. 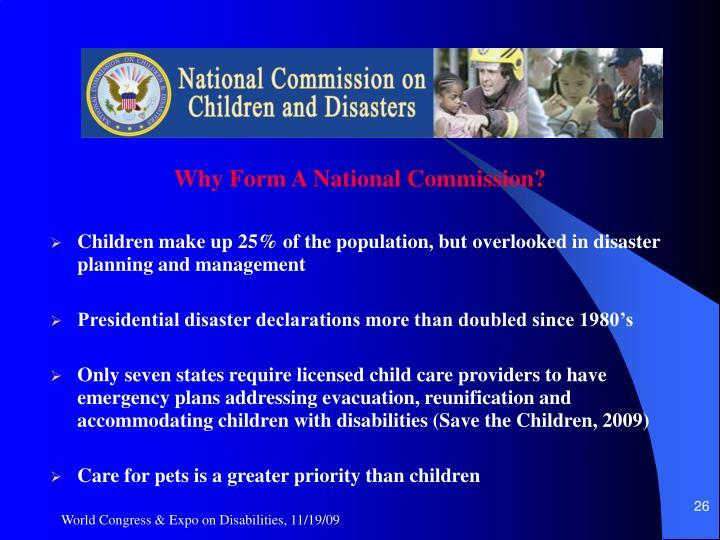 Why Form A National Commission? 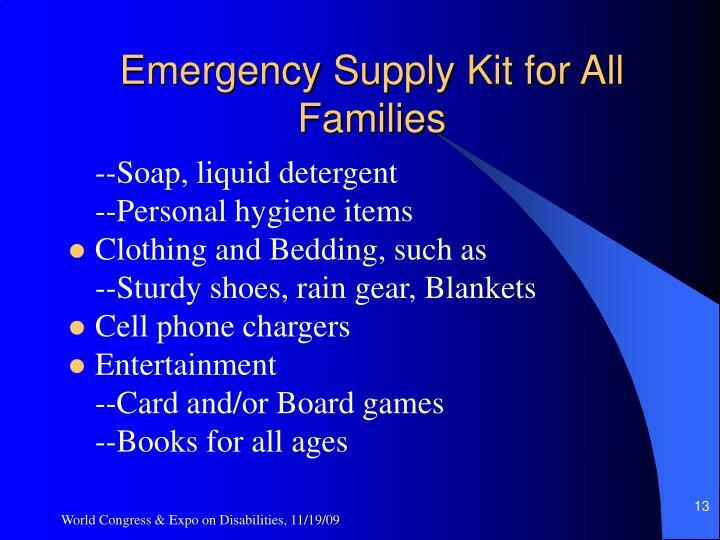 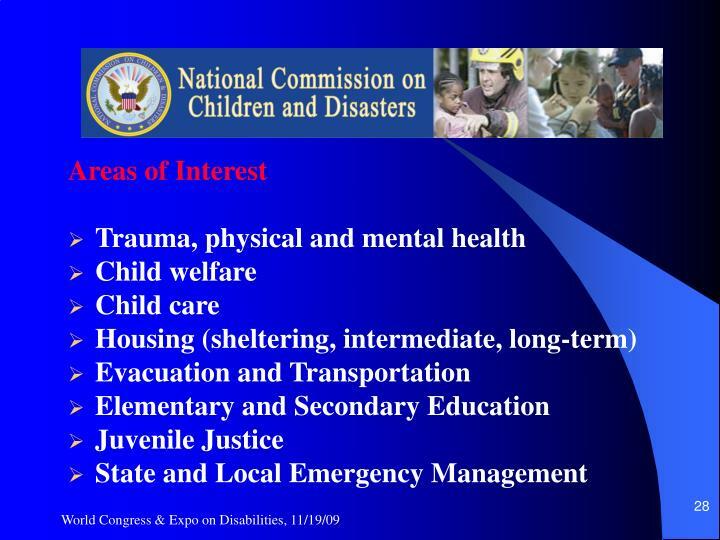 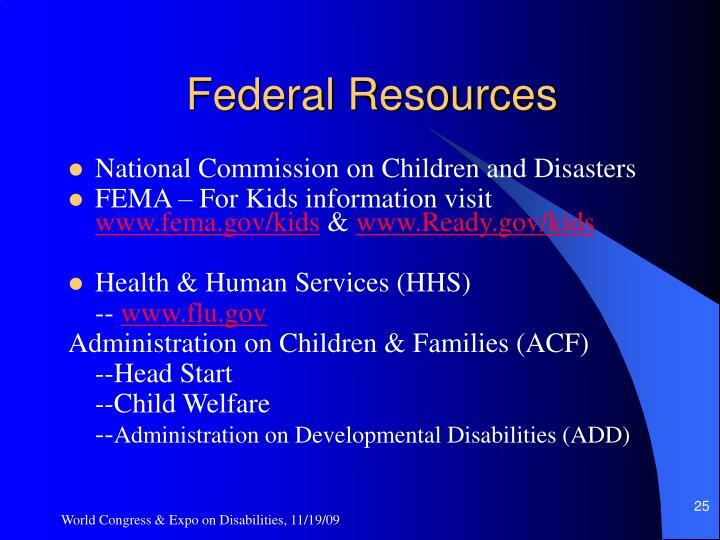 http://www.fema.gov/kids/ - FEMA has put together a wealth of resources for parents and teachers to support children. 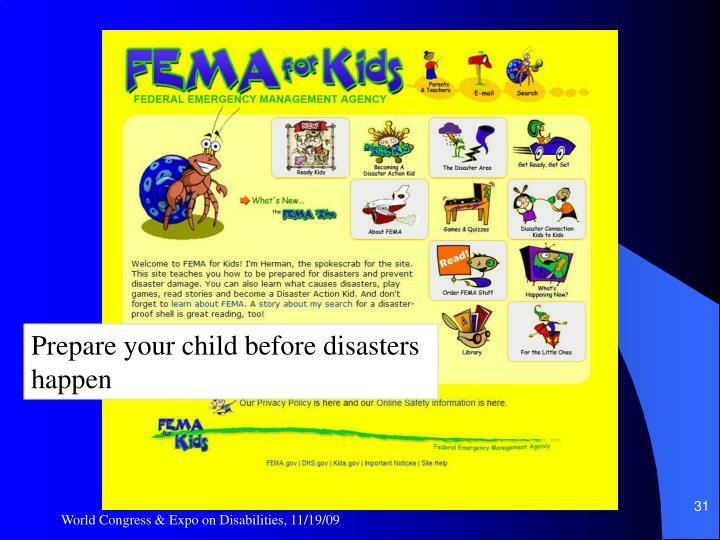 Loads of information and engaging activities for children to learn how to be prepared for disasters. 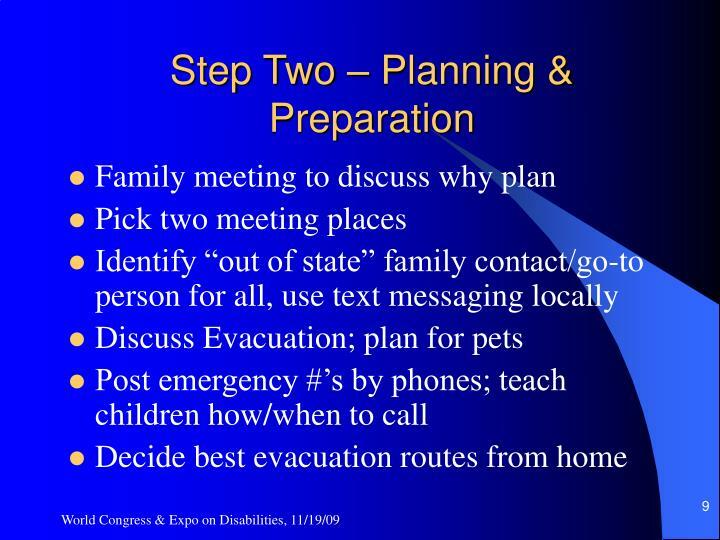 www.nobodyleftbehind2.org – For professionals and communities who are concerned about the evacuation of individuals with mobility impairments. 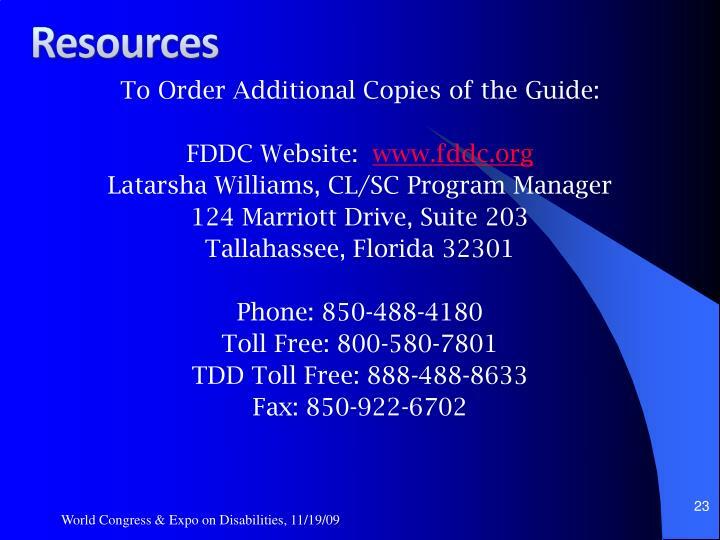 Check out the resources section for a wealth of resources, guides, and instructional manuals. 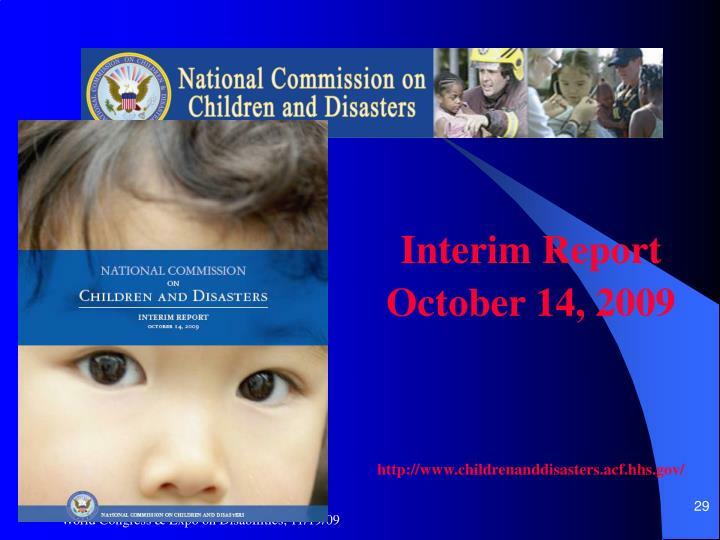 http://www.aap.org/disasters/pdf/helping-children-and-adolescents.pdf - Great booklet that provides you with instructions on how to support your child after a disaster or traumatic event. 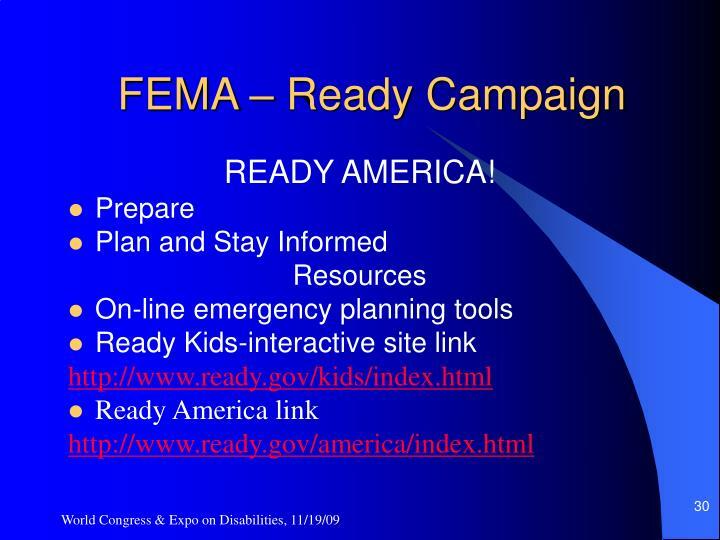 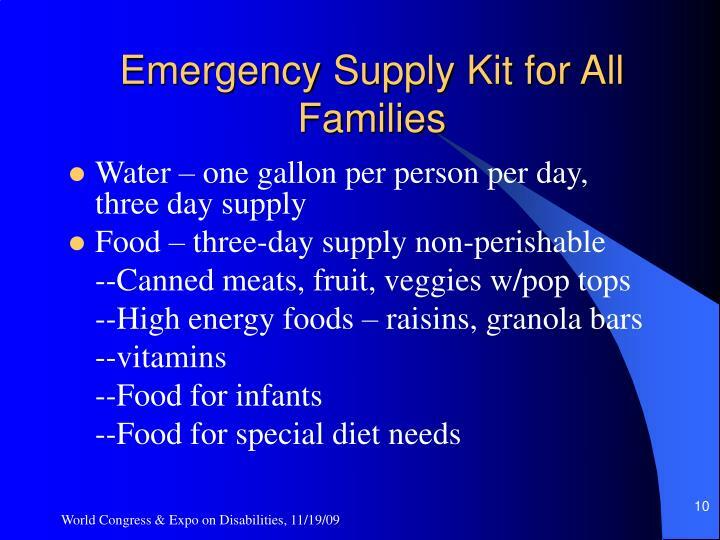 http://www.aap.org/family/frk/frkit.htm - American Academy of Pediatrics has developed a family readiness kit for disasters. 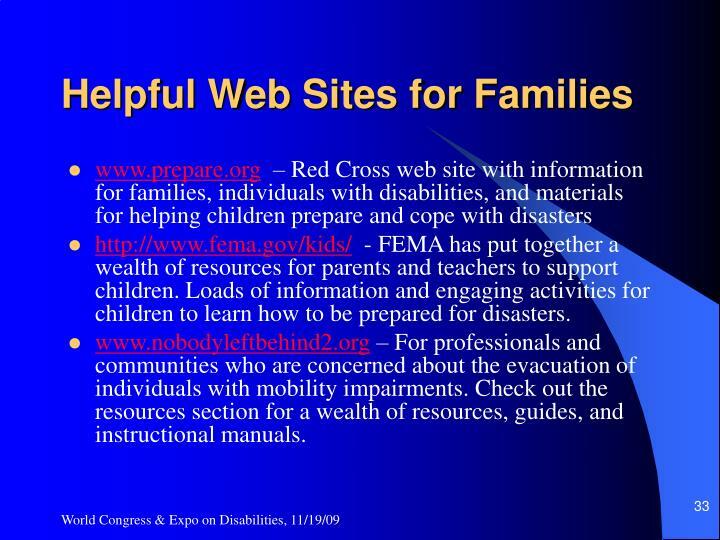 It has information on: preparing for disasters, what to expect in a disaster, supplies list, and getting access to emergency medical services. 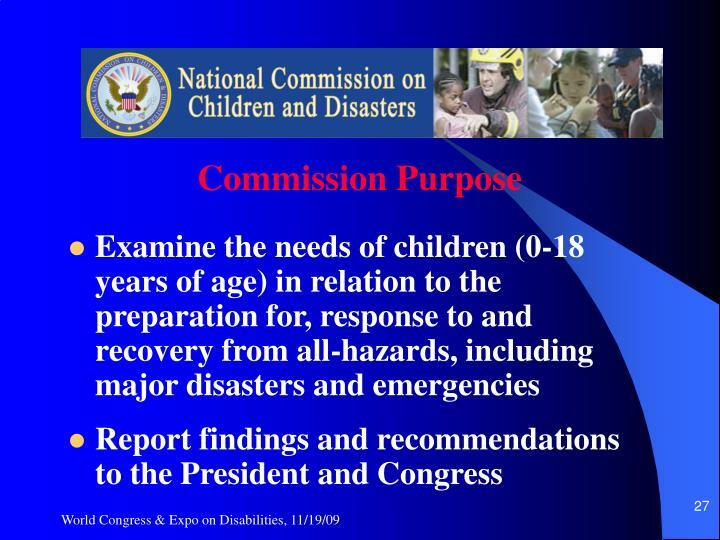 Easy to read and understand. 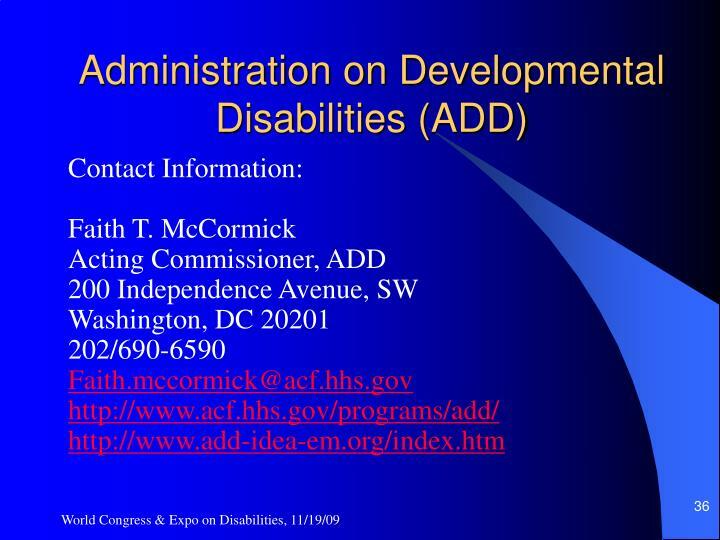 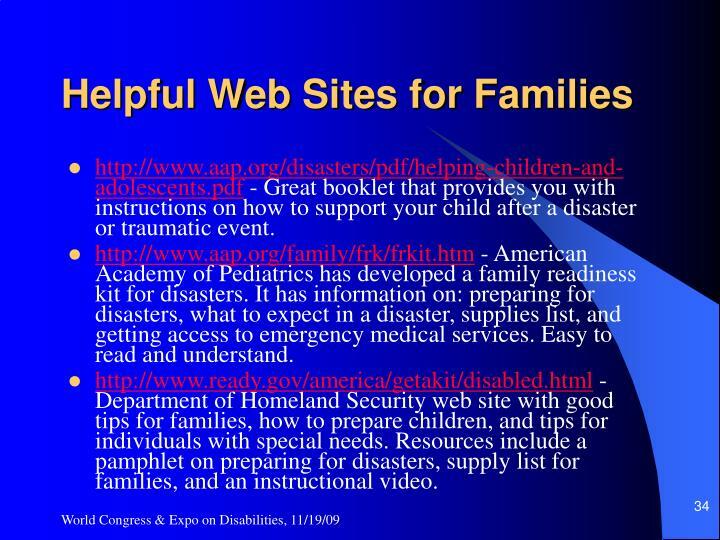 http://www.ready.gov/america/getakit/disabled.html - Department of Homeland Security web site with good tips for families, how to prepare children, and tips for individuals with special needs. 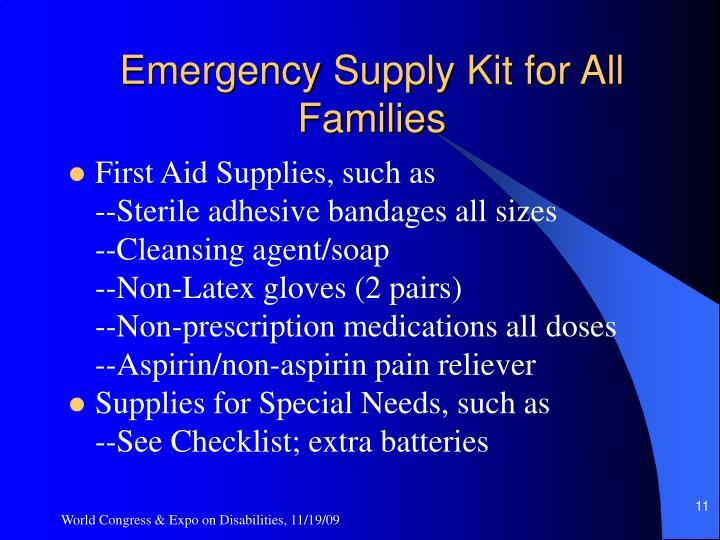 Resources include a pamphlet on preparing for disasters, supply list for families, and an instructional video. If you have been affected by a disaster, the American Red Cross Safe and Well Website provides a way for you to register yourself as “safe and well.” From a list of standard messages, you can select those that you want to communicate to your family members, letting them know of your well-being. 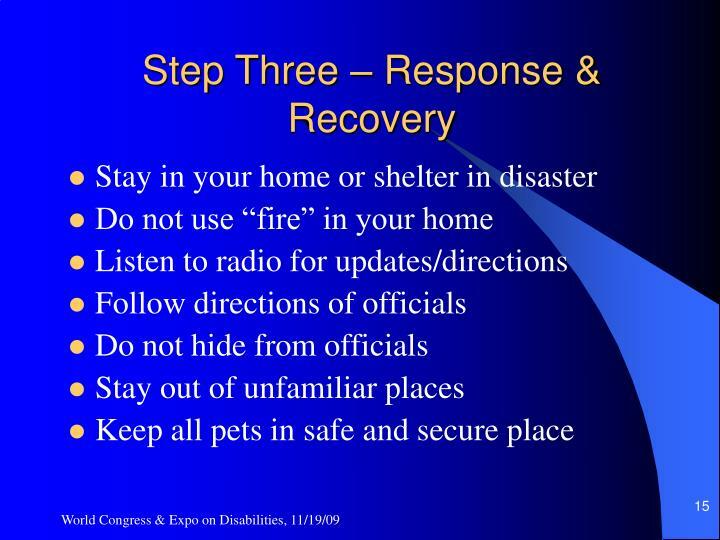 The American Psychological Association (APA) Help Center has many articles on how to deal with traumatic stress during and after a disaster.